This section provides Edexcel GCSE History revision resources for Hitler’s Rise To Power, 1919-33. The revision notes cover GCSE History topics for the Pearson/Edexcel exam board. If you are a teacher or school teaching Edexcel/Pearsons GCSE History; Support your students learning by linking to this page on your school subject page. Subscribe For Free Resources For Your Edexcel/Pearson's GCSE History Topics. We take your privacy seriously and operate a ZERO spam policy. Joining the German Workers’ Party and setting up the Nazi Party, 1919–20. The early growth and features of the Party. The role of the SA. The reasons for, events and consequences of the Munich Putsch. Reasons for limited support for the Nazi Party, 1924-28. Party reorganisation and Mein Kampf. The Bamberg Conference of 1926. The growth of unemployment – Its causes and impact. The failure of successive Weimar Governments to deal with unemployment from 1929 to January 1933. The growth of support for the Communist Party. Reasons for the growth in support for the Nazi Party, including the appeal of Hitler and the Nazis, the effects of propaganda and the work of SA. Political developments in 1932. The roles of Hindenburg, Brüning, von Papen and Von Schleicher. The part played by Hindenburg and von Papen in Hitler becoming Chancellor in 1933. 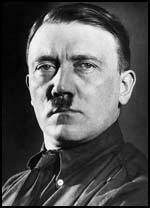 Adolf Hitler was born on 20th April 1889 in the village of Braunau am Inn, Austria-Hungary. Hitlers early career did not suggest he would become so successful and achieve such prominence in politics as his interests lay initially in the arts. Hitler’s early life saw him struggle at school some of which he would later claim was to spite his father as he wished to become an artist, an idea his father was against. Alois Hitler, his father, worked as a customs official and wanted him to also work in the civil service, an idea Hitler was repulsed by. The first was the death of his father Alois Hitler in 1903 which brought him much closer with his mother. “I have never seen anyone so prostrate with grief as Adolf Hitler”. Lastly, Hitler’s application to study at the Academy of Fine Arts Vienna was rejected twice. From 1908-13, Hitler spent a meaningless existence spending his inheritance and then living rough, earning a living by selling his own hand-painted postcards. In 1913, he fled to Munich in Germany to avoid military service in the Austrian army. When the First World War occurred, he volunteered to join the German army as he felt this could provide him with a purpose in his life. There was a problem however as Hitler was not actually German. To enable him to join the German army, a special dispensation had to be provided to enable him to sign up. Hitler served in the 16th Bavarian Reserve Infantry Regiment and saw action at the Western Front which included the Battle of the Somme. He was seen to be a brave soldier and awarded the Iron Cross Second Class in 1914 and First Class in 1918. He went on to achieve the rank of Lance Corporal (Gefreite). By the end of the First World War, Hitler was hospitalised due to temporary blindness caused by a gas attack. He was incredibly angry at Germany’s surrender and blamed the politicians and the Weimar Republic for stabbing the army in the back. After the end of the First World War, there was political chaos in most of Germany and this was most evident in Bavaria and Munich. In 1919, the communists had seized power in Munich, however, the Freikorps, under orders from Friedrich Ebert, quickly put this uprising down. At the beginning of 1919 amid the atmosphere of political chaos, Anton Drexler founded the German Workers’ Party, also known as Deutsche Arbeiterpartei, DAP. The party was right wing and one of many founded in Bavaria during this period. The party was the precursor for what would later become the Nazi Party. Anton Drexler and his followers were socialistic in their ideas and wanted to restrict the profits of companies, achieve a classless yet nationalistic society and also stressed the idea of having a nation of pure German people, also known as the völkisch movement. With no formal qualifications and career prospects, Hitler attempted to remain in the army as long as possible. In July 1919 he was appointed an intelligence agent and instructed to infiltrate the DAP in September 1919. While attending a DAP party meeting at a beer hall on 12th September 1919, Hitler was involved in a heated debate with another visitor, Professor Baumann, who questioned the sense in going against capitalism and proposed Bavaria should break away from Prussia and should create a new German nation with Austria. Hitler replied with such a strong performance in response that Drexler encouraged him to join the party as he was impressed with Hitler’s oratory skills. As Hitler was undercover as an intelligence agent, his superiors encouraged him to join. In less than a week, Hitler had joined The German Workers Party and was officially a member. He had taken the first step in a journey which would see him become the leader of Germany in just fourteen years from this point. His belief in a Communist-Jewish conspiracy intent on destroying Germany. In February 1920, Hitler and Anton Drexler wrote what became known as their Twenty-Five Point Programme. This was a political manifesto and Hitler would keep to most of these ideas throughout his life. The manifesto was announced at a key meeting in Munich and the party’s name was amended to include “National Socialist”. The party, therefore, became known as The National Socialist German Workers Party, abbreviated as NSDAP. In 1920, the party began to grow rapidly and this was mostly due to Hitler as his public speaking was attracting hundreds of people to meetings the NSDAP held. The party began to increase in membership which meant it was now able to publish its own newspaper – the Völkischer Beobachter which translates as The People’s Observer. 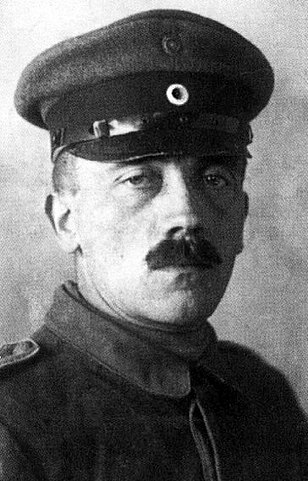 By 1921, Hitler’s influence had grown so much he became the leader of the party and began to consider ways in which he could lead the party’s direction. Within the party, he had the title of Fuhrer which translates as meaning “leader” however Hitler would gradually develop the word to have a much more powerful meaning. In Hitler’s mind, the title of Fuhrer meant he had to have absolute power and authority and answer to no one. This was part of his leadership principle aka the Fuhrerprinzip. 5 Non-citizens to be able to live in Germany only as a guest and must be under the authority of legislation for foreigners. 9 All citizens must have equal rights and obligations. 11 Abolition of unearned (work and labour) incomes. Breaking of debt (interest)-slavery. 16 The creation of a healthy middle class and its conservation, low-cost warehouse rents to small firms, the utmost consideration of all small firms in contracts with the State, county or municipality. 18 Common national criminals, usurers, profiteers and so forth are to be punished with death, without consideration of confession or race. 20 The state is to be responsible for a fundamental reconstruction of our whole national education program, to enable every capable and industrious German to obtain higher education and subsequently introduction into leading positions. 21 The state is to care for the elevating national health by protecting the mother and child, by outlawing child-labour, by the encouragement of physical fitness, by means of the legal establishment of a gymnastic and sports obligation, by the utmost support of all organizations concerned with the physical instruction of the young. 22 We demand the abolition of the mercenary troops and formation of a national army. The Sturmabteilung were also known as the SA. But who were they? The members of the SA were originally a protection squad. Political meetings in Munich during this period saw great violence and in order to protect the Nazi speakers at rallies and assemblies, protection squads had to be formed. The colour of the Sturmabteilung uniform meant they were often referred to as the “Brownshirts”. The meaning of Sturmabteilung is “Storm Division”. The SA would go on to be Hitler’s own private army pledging obedience and loyalty. They would later be used to disrupt the rallies and gatherings of rival political parties as well as fight against the paramilitary units of rival parties, especially the Red Front Fighters League of the Communist Party of Germany (KPD). Members of the SA generally comprised of the unemployed and working class. Be always ready to stake life and limb in the struggle for the aims of the movement. Give absolute military obedience to my military superiors and leaders. Bear myself honourably in and out of service. The Sturmabteilung were officially referred to as the Gymnastic and Sports Division within the Nazi party and this is possibly because they wanted to avoid trouble with the government seeing them as a private army. At their highest level of membership, it is estimated that the SA comprised of over 3 million members by the end of 1933 under Ernst Rohm (pictured right). The group’s membership had exploded under Rohm and after Hitler and the Nazi party came to power, the SA was eager for power itself. Germany also had a cap of only 100k army personal due to the Treaty of Versaille and Rohm’s initial plan was to absorb the army into the SA. This offended the army as it would mean mixing untrained “thugs” with the SS which often comprised of middle-class members. Rohm’s vision also conflicted with Hitler’s view. More concerningly for Hitler and the Nazi leaders, they also posed a threat to the Nazi leadership now as they had become incredibly powerful. This increased power under Ernst Rohm and the SA is in part what led to the Night of the Long Knives. What was the Munich Putsch? The Munich Putsch, also known as the Beer Hall Putsch, was a failed attempt by Hitler and his supporters to overthrow the Weimar Government between November 8th 1923 to November 9th, 1923. The word “Putsch” is literally defined as “coup“, which is a violent and illegal seizure of power. The putsch included Erich Ludendorff who was the former quartermaster general during the First World War until October 1918. He was known for the Ludendorff offensive which helped the Germans advance 64km and within the range of Paris. It was believed his presence would add prestige and credibility to the rebellion. He is pictured on the far right looking at the camera. Other supporters and critics of the Weimar government also joined Hitler including Göring who is the person Hitler is facing in the picture above. 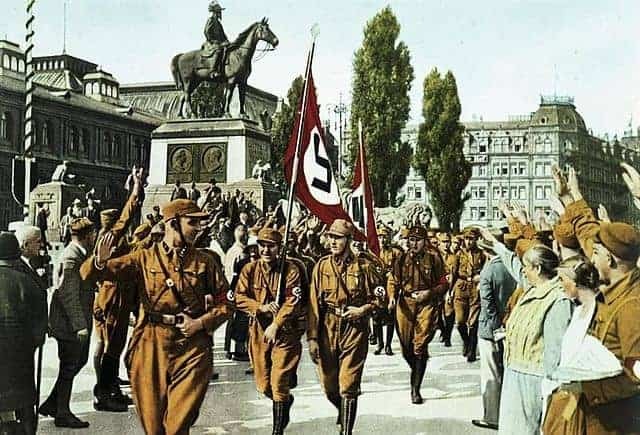 The Munich Putsch involved over 2000 Nazi supporters including the SA and Hitler, marching to the Feldhernhalle, in the city centre in an attempt to incite a revolt. Initially, over 600 members of the SA had surrounded the Bürgerbräukeller, which was a large beer hall in Munich and where the coup also got its alternative name. At the Bürgerbräukeller, Gustav von Kahr, Otto von Lossow and Hans Ritter von Seisser were giving a speech to over 3000 people. Gustav Von Kahr was the state commissioner, Otto von Lossow the Reichswehr (army) General and Hans Ritter von Seisser was the Bavarian State Police Chief. Together the 3 formed a triumvirate (a group of 3 men holding power). When Hitler and his supporters stormed the beer hall, all 3 were held at gunpoint and ordered to support the coup. After some time, they agreed to support Hitler (being held at gunpoint can be quite persuasive) and were released later that evening. The next day, Seisser and Lossow changed their minds and organised troops and police to resist Hitler’s planned armed march through Munich. Immediately following the release of Kahr, Lossow and Seisser however, there was confusion and unrest among government officials, armed forces, police units, and people trying to figure out where their allegiance lay. At 3 am that morning, a skirmish occurred as Röhm’s men were leaving a beer hall and a local garrison of the Reichswehr spotted them as they left. There were no fatalities however Röhm’s men were forced to retreat due to heavy resistance. The Reichswehr subsequently put the whole garrison on alert and called for reinforcements. The next morning, Hitler realised his coup was beginning to fall apart. Röhm combined his forces with Hitler’s and together, 2000 men began to march but with no clear direction on where they were going. The Nazi’s eventually met a force of 130 soldiers under the command of State Police Senior Lieutenant Baron Michael von Godin. The two groups exchanged fire and 16 Nazi’s and 4 state police officers were killed. The battle resulted in the Nazi group scattering. Göring was shot in the leg but managed to escape while Hitler fled, He was captured and arrested 2 days later. Hitler was charged with high treason along with Rudolf Hess and other conspirators. Göring had managed to escape to Austria however his injury would result in him becoming heavily addicted to Morphine. The Nazi headquarters was raided and their newspaper, Völkischer Beobachter was banned. The trial would eventually turn out to be the propaganda victory Hitler needed to catapult him to national attention. Combined with economic unrest and a number of other factors which we will explore, this would raise his profile enough to see him become Germany’s Chancellor and Dictator. Why did the Munich Putsch Happen? There are a number of reasons for the Munich Putsch happening. The German economy in 1923 was in turmoil and a number of political crises had hit the country in recent years. Hyperinflation had made the German currency almost worthless and the French had invaded Ruhr due to non-payment of reparations. Workers were also on strike and there was political chaos with attempts during the 1920s by the Freikorps and Spartacists to overthrow the Weimar government unsuccessfully. In Italy, Benito Mussolini had attempted and succeeded with a coup in October 1922 and Hitler felt this could be recreated in Germany at the right time. The backdrop of political and economic uncertainty seemed appropriate in Hitler’s mind and it was seen as an ideal time to try overthrow the weak Weimar Government which was proving unpopular. The Nazi’s membership base of over 55’000 members also made them stronger than they had ever been before. Hitler also believed his army of SA would be uncontrollable if he did not give them direction and focus on something to do. Hitler also believed he would be supported by important nationalist politicians in Bavaria. In the midst of this chaos, Hitler saw what he thought was an opportunity to strike and overthrow the government. Why did the Munich Putsch fail? The Beer Hall Putsch failed for a number of reasons some of which were tactical mistakes by Hitler and his men. Hitler assumed incorrectly he could simply replicate a coup similar to what Mussolini did in Italy the year before, however, the situation between Italy and Germany was very different. In Italy, the King supported Mussolini’s power grab as did many of the establishment such as the army as there was a greater fear of civil war breaking out which they wanted to avoid. Mussolini also had 30’000 men supporting him which was significantly higher than Hitler. Hitler also made the tactical mistake of leaving the Bürgerbräukeller as Ludendorff would later let Kahr, Lossow and Seisser leave after they “pledged” their support. Once safely away they went on to renege on this pledge allowing them to recruit reinforcements to prevent Hitler’s march. This allowed them to alert the military and reinforcements were called in. Hitler also tried to enlist the help of Crown Prince Rupprecht of Bavaria. He sent the communications officer of the Kampfbund, Max Neunzert, to gain his support however he failed in this task. In the middle of the chaos they made the decision to march but without a clear direction on where or a tactical plan on what they hoped to achieve. They were almost hoping to gather enough support that this would pressure the Weimar Republic into standing down however they stood firm and the Nazi’s didn’t get the widespread support they thought they would. Why was the Munich Putsch a success for Hitler? The Munich Putsch was a success for Hitler because of 3 primary reasons all of which contributed to him gaining and remaining in power. The Putsch resulted in him getting arrested and facing a trial. This trial gave him a platform and brought him to national attention and as he was a good public speaker, he was able to publicise his agenda to Germans across the nation through the newspapers following his trial. This would lead to even greater support for him ultimately as he put across his nationalist views and criticisms of the Weimar Government and the Treaty of Versailles. Many Germans were able to relate to his beliefs and views, particularly the unemployed as the level of people not working was significantly high throughout the 1920s. The second benefit of the Putsch was the production of his book Mein Kampf which was written while in prison. Hitler would serve only 9 months in prison but he would dedicate almost all his time to writing this book. It would become a bestseller once he came to power although initial sales were slow. The third benefit of the Munich Putsch was Hitler’s realisation that he could not succeed through a coup and that he needed to gain power democratically. Hitler had thought he could replicate Mussolini’s seizure of power in Italy but the climate in Germany was different. After the Putsch had failed, Hitler would dedicate himself to gaining power through elections and furthering Nazi propaganda which would be crucial in him ultimately becoming Chancellor. Hitler and his fellow Nazi’s were charged with treason. The Nazi party’s headquarters was raided and their newspaper, the Völkischer Beobachter, was banned. Hitler’s trial began on the 24th of February 1924 and lasted one month. Hitler denied the charge of treason and at his trial, gave long speeches on how he was simply attempting to restore Germany’s greatness and resisting the weak Weimar government. He criticised the government calling them the November Criminals as they betrayed the German people and agreed to the Treaty of Versailles after agreeing to the armistice. Every opportunity was used to put across his political viewpoint and attack the Weimar Government. The judges were sympathetic towards him and his speeches were then reported in the national press raising his profile and making him famous in Germany. On 1st April 1924, Hitler was sentenced to 5 years in Landsberg Prison. He would only serve 9 months before being released and he would use most of this time to write his book, Mein Kampf. The time he spent in prison would allow him to reflect on what went wrong in the Munich Putsch. It is believed it was during his time in prison that he realised that gaining power democratically was the only way to become the leader of Germany. While in prison, Hitler had a relatively easy time in gaol. He was permitted as many visitors as he wanted and receive mail as well as access whatever books he wanted. While inside the prison, the Nazi party experienced a decline in the short-term however over the longer term they benefited. The trial had been a propaganda success and Hitler was now known nationally and won support across the country from nationalists. He also realised that the only way he could guarantee success was to ensure he had complete control over the whole party. This would lead to him reorganising the party on his release to suit his vision of it. Between 1924 to 1928, the Nazi party experienced a decline in popularity which resulted in Hitler ultimately reorganising it. The decline was in part due to Hitler, who was quite famous at this point, being in prison and out the public spotlight. The new leader of the party during this time, Alfred Rosenberg, lacked leadership qualities and this resulted in the party splitting into rival groups. Additionally, after the failed coup, the Nazi party was also banned which further limited its support as they could not openly canvass for members or publish their newspaper. The Weimar government was also enjoying some success thanks to Stresemann’s economic policies which made it difficult for the Nazi’s to criticise them as it seemed their economic policies were working. Hitler went on to be released from Landsberg Prison on 20th December 1924. Shortly after his release Hitler convinced the Bavarian authorities to lift the ban on the party on 16th February 1925 and it was “refounded” on 26th February 1925 with Hitler as the leader. Hitler began reorganising the party’s structure and created branches called Gaue (plural) or Gau (single) with each led by a Gauleiter. To ensure control, he made sure only his closest associates helped run the party from Munich and they pushed the idea of the Führerprinzip (meaning leadership principle). To prevent further dissent that had happened among its northern branches and create unity based solely on the Führerprinzip. To cement his role as the ultimate authority in the party whose decisions are final and non-appealable. To eliminate any notion the party was democratic or a consensus-based institution. To eliminate any rivalries between the northern and southern factions over goals and ideology. To establish the Twenty-Five Point Programme as the party’s immutable programme. Challenges to Hitler’s leadership from Gregor Strasser and Josef Goebbels were addressed. Strasser was appointed propaganda leader while Goebbels was made Gauleiter of Berlin. 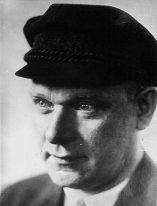 Other opponents such as Ernst Röhm, the leader of the SA, was forced to resign as Hitler was concerned the SA would continue to be a violent group. He was replaced by Franz Pfeffer von Salomon. The SS, also known as the Schutzstaffel were created as his own bodyguard unit. The Hitler Youth, also known as the Hitlerjugend, was set up to rival other youth groups. Hitler’s reorganisation of the party at the Bamberg conference would produce results. In 1925, the party had 27’000 members however by the end of 1928, this had increased to 100’000. Hitler was seen as the undisputed leader and endless propaganda was used to win over the voters and attract members. Prior to 1928, the party focused on urban voters however rural voters were now the new target at a time when farmers began to experience economic problems making the Nazi party an attractive option. In 1928, despite the increased membership, the party won only 12 seats in parliament which were less than the 32 seats held in 1924. 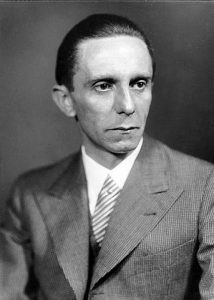 The party made further changes targeting poorer voters and in the late 1920s, he replaced Strasser with Josef Goebbels as the head of party propaganda. The party would likely never have come to power if it were not for key political and economic crises. 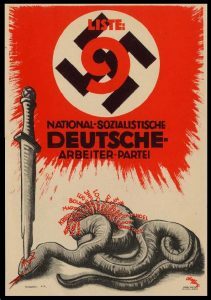 The economic events that occurred in 1929 such as The Great Depression, were seen to be key in helping the Nazi Party become one of the leading parties in the country. Stresemann’s economic policy had brought 5 years of prosperity and the economy began to recover however there were still groups of people, such as farmers, who experienced problems. The loans from the USA helped to prevent inflation and there was an investment in industries which increased economic output. However, this all changed in October 1929 when the Wall Street Crash happened. Germany was dependent on US loans to stimulate its economy and aid its recovery. The US stock market crashed in an event known as the Wall Street Crash which resulted in a period known as “The Great Depression”. This meant US lenders recalled the loans they had made to Germany under the 1924 Dawes Plan. International trade began to contract and German exports began to drop. Factories in Germany began to close resulting in workers being sacked so unemployment rates began to rise. German farmers were already experiencing problems before the crash however the crash resulted in even lower food prices which worsened their plight. Other German’s could no longer pay their rents which resulted in them becoming homeless. To make matters worse, Gustav Stresemann died on 3rd October 1929 and he was seen as the only one able to navigate Germany through such a difficult period. Successive Weimar governments such as the Brüning government of 1930-1932 were unable to deal with the problem of rising unemployment and proved incredibly unpopular. When the depression first struck, the Müller government was in power during 1928-1930. The members of the government were split on whether to increase unemployment contributions from 3% to 3.5%. 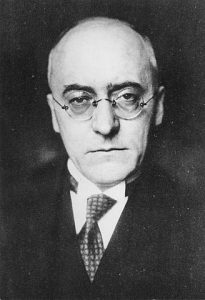 Müller subsequently resigned on March 1930. The new Chancellor was Heinrich Brüning who thought the best way to deal with the depression and high levels of unemployment was to reduce spending and increase taxes. In March 1930, he cut civil servant wages by 2.5% which was initially blocked but pushed through by President Hindenburg. He would further cut wages by 23% by the end of 1931. Brüning also raised taxes on income, beer, sugar and also introduced various other new taxes which would prove unpopular. Unemployment benefit was also cut by up to 60%. Poverty increased making the crisis deeper and more businesses began to fail. Brüning was nicknamed the “Hunger Chancellor” and the unemployed and hungry wanted solutions he couldn’t provide. This resulted in them looking to other political parties to relieve their suffering. By January 1932, over 6 million people were unemployed which meant 4 out of 10 Germans were without jobs. During 1923, the fear was inflation however during this period, it was now unemployment and people wanted someone that could provide jobs. As unemployment increased, the middle class feared a Communist revolution similar to the one that happened in Russia in 1917. The German Communist Party (KPD) was growing during this period as they promised a way out of the economic depression. Brüning did not have a majority and he was increasingly relying on President Hindenburg and Article 48 to pass reforms. This meant the Reichstag was used much less frequently. In hindsight, historians believe this is what caused the death of the Weimar Republic as democracy was being bypassed frequently. As unemployment increased, the middle class feared a Communist revolution similar to the one that happened in Russia in 1917. The German Communist Party (also known as the KPD or Kommunistische Partei Deutschlands) was growing rapidly during this period as they promised a way out of the economic depression. In 1923, the new KPD leader Ernst Liebknecht had abandoned the goal of instigating a revolution since the failure of the Spartacist Revolt and instead had been contesting elections from 1924 with some success. During the Weimar government’s tenure, The German Communist Party was the largest communist party in Europe. It was seen as the “leading party” for a communist movement outside of Russia and maintained a solid electoral performance averaging over 10% of the vote. Rich landowners and the middle class feared communism because they feared once communists such as the KPD were in power, they would take their wealth from them and redistribute this. The growth of communist parties such as the KPD made this a realistic possibility so an alternative party needed to be backed by the rich and middle class that would protect their interests. This is why the Nazi party became an attractive alternative option for many people with some level of influence and wealth. To stop communism which threatened their wealth and position in society, the rich backed the Nazi’s and they already had strong support from the poor and unemployed as well as farmers. The economic problems faced after the Great Depression had spread to Germany and caused huge political discontent. Extreme parties were able to use this to their advantage and started to gain more support in elections. Between 1929-1933, the Nazis became the biggest political party in Germany due to their simple messages and slogans which appealed to all classes within society. Between 1929-33, the Nazi party increased its support and one of the key reasons for this was its effective use of propaganda. Tactics involved holding mass rallies as well as using posters and banners in prominent places. It was made to seem like the Nazis were everywhere. The mastermind behind this was Josef Goebbels. Goebbels understood the mass media and how this could be used to manipulate huge audiences. He ensured the Nazi message was simple and repeated regularly. By the 1930s, the Nazis owned over 120 newspapers which were read by hundreds of thousands of people across Germany. When the political and economic crises struck, Goebbels was able to get coverage for the Nazis in local, regional, national and presidential elections. This enabled the Nazis message to be heard everywhere, particularly on the radio too. In 1930, Chancellor Brüning called a general election in an attempt to secure a majority for his Centre Party (ZP). Unfortunately for him, the Wall Street Crash, the contracting economy and depression disrupted the political situation. Unemployment increased across all classes of people and the Nazis were appealing to all sections of society as a credible alternative. They blamed the “weak” coalition Weimar government for the economic crisis stating they had no credible solutions to the country’s problems. Through propaganda and rallies, the Nazis played on the resentment of the Treaty of Versailles and blamed the “November Criminals” to reopen old wounds. The Nazis message was they were the only party able to return Germany to its former glory. Hitler blamed the Jews for being involved in communism as well as the evils of capitalism. They were blamed for conspiring in Germany’s defeat during World War 1. Jews were blamed for the Bolshevik revolution in Russia. They were also accused of trying to cause a revolution in Germany which would mean all private wealth would be seized by the state. After the 1930s general election, the Nazis had a breakthrough securing 12 seats. For Brüning, this meant he was forced to rely on other parties and, moreover, Hindenburg and Article 48. Many historians believe this over-reliance on Article 48 which bypassed the Reichstag to pass the law was the death of the Weimar Republic. As Hitler and the Nazis attempted to increase their support, they used the Sturmabteilung as protection for their meetings but also to disrupt the meetings of their opponents, particularly the Communist Party. Hitler reappointed Ernst Röhm as the leader of the SA in January 1931 when its membership stood at 100’000. Within 12 months, the membership had increased to 170’000 members. The Communists also had their own private militia known as the Red Front Fighters, RFB or Roter Frontkämpferbund. There were countless fights between the Sturmabteilung and the Roter Frontkämpferbund many of which resulted in fatalities. Hitler wanted to show the German people that he could stamp out the Bolshevik violence and threat of revolution that many feared. The SA was also used to attack and intimidate any overt rivals or critics to the Nazis. In 1932, during the presidential elections, Hitler ran for president against Hindenburg and Thälmann (KPD). The Nazis were quick to use modern technology and travelled to speak in as many as 5 cities within the same day by aeroplane. Goebbels worked to ensure mass rallies were held and the Nazi message was being spread across Germany with Hitler recognised as a national political figure. Goebbels had mastered the art of using the mass media and with Hitler’s message spread across films and the radio. Hindenburg did not campaign himself but still managed to secure more votes and lost out on a slight margin falling short of the required 50 per cent of the vote. This meant there had to be a second round. Hitler increased his vote share but still fell short of Hindenburg in the second round. In 1933, political instability and the eventual reluctant support of President Hindenburg enabled Hitler’s rise to power as he became the Chancellor of Germany in 1933. A series of key events led up towards this being possible. After Hitler’s success in the presidential elections in March and April 1932, he was now not only famous and well known, but he was also the leader of the second largest party in the Reichstag. Brüning had been Chancellor since 1930, however, his economic policies were proving very unpopular. He had little support from the Reichstag and relied on ruling by presidential decree through Hindenburg (who was the President at the time). Brünings dependance on Hindenburg and bypassing the Reichstag was seen to seriously undermine the Weimar Republic. By May 1932, Brüning had lost Hindenburg’s support as the economy showed little sign of improvement. A general election was called for on 31st July 1932. The results of the 1932 German General Election are on the right above. The Nazis were incredibly successful and won 230 seats effectively becoming the largest party in the Reichstag. 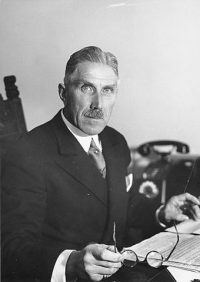 Despite not having the most seats, Franz von Papen (pictured left) of the Centre Party did not immediately resign as Chancellor. Instead, he schemed with Hindenburg believing the Nazis (and Hitler) could be manipulated. Hitler demanded the post of Chancellor after the July 1932 General Election took place as he commanded the largest party but this was refused. Papen dissolved the Reichstag in September 1932 as it was impossible for any party to maintain a coalition or command a majority. Papen believed the Nazis were losing momentum and if he held on, they would slowly disappear from the scene. The results of the November 1932 General election are below which shows the Nazis were losing support as Papen predicted however they still ended up the biggest party once again. The November 1932 German election saw the Nazis lose some slight support as you can see above, however, they still commanded the biggest share of the votes. Hitler continued to demand the post of Chancellor and as Papen could not secure a majority, this placed him in a precarious position. 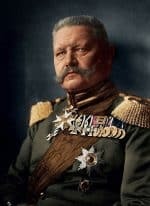 Papen suggested abolishing the Weimar constitution to which Kurt von Schleicher, the Minister of Defence, persuaded Hindenburg that this could lead to a civil war. 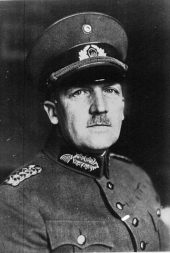 Papen ultimately lost Hindenburg’s confidence and had no choice but to resign with Schleicher replacing him as Chancellor. As Chancellor, Schleicher hoped to form a Querfront, which means a ‘cross-front’ government combining different strands from the left and right wing parties to form the majority he would need. Papen however, was determined to regain power and sought other ways to achieve this. Open political debate was replaced with intrigue and trickery as deals were made. He secretly met Hitler convincing him he still held significant influence with President Hindenburg and could help him become Chancellor. They agreed Hitler would lead a Nazi-Nationalist government as the Chancellor provided Papen could be Vice-Chancellor. Meanwhile, Schleicher was seen by the army, major landowners and leaders of industry as someone plotting a communist take-over due to him trying to form a coalition with those from the extreme left. 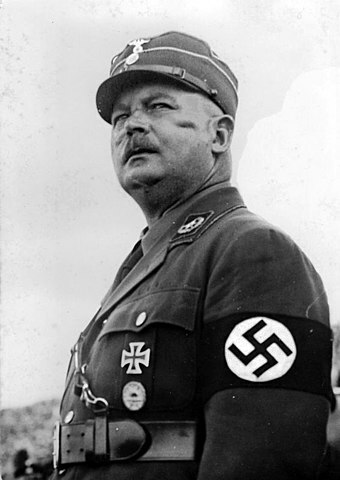 Papen was able to convince Hindenburg that a coalition government with Hitler as Chancellor would save Germany and bring stability to the country. Papen believed he could control and manipulate Hitler to his will and “make him squeak” as he put it. 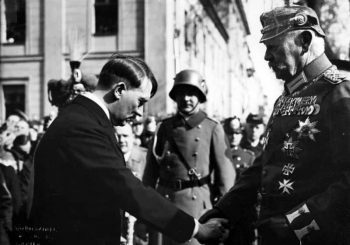 Hindenburg reluctantly agreed and on 30th January 1933, Hitler was sworn in as Chancellor (both are pictured just above shaking hands the day he was appointed). Revision notes for A-level subjects including the latest specification changes. Revision notes for GCSE 9-1 subjects covering the new GCSE changes that have come into effect. Create an account or get in touch.